In recent months, Walmart has made a flurry of innovations and acquisitions as it seeks to strengthen its multichannel offering and ultimately compete more strongly against Amazon. Walmart acquired Internet pure-play retailer Jet.com in September 2016, online outdoor retailer Moosejaw in February 2017 and online womenswear retailer ModCloth in March 2017. In this week’s note, we consider three of the company’s recent initiatives in its online offering: deliveries by store associates, lower prices for customers who choose in-store collection and expanded choice in its online marketplace. Walmart’s latest push to improve its omnichannel offering is to ask its store associates to deliver online orders to nearby residents. It is running a trial in three test stores, where store workers can choose to make paid deliveries on their own time, such as on their way home from work. Marc Lore, President and CEO of Walmart eCommerce, said in a June 1 blog post that this could “cut shipping costs and get packages to their final destinations faster and more efficiently.” Lore said the trial leverages Walmart’s physical network, as 90% of the US population lives within 10 miles of a Walmart store. Since April 19, Walmart has offered lower prices on online purchases to those customers who opt for in-store collection instead of having their orders shipped to them. We call this “pick-and-mix pricing,” because shoppers can opt for different prices by making certain choices. Jet.com already offers lower prices to shoppers who opt out of free returns or choose to pay with a debit card. This flexible pricing could help Walmart compete with marketplace sites such as Amazon Marketplace, where offerings from third-party sellers mean shoppers enjoy a range of price points. Walmart has also been ramping up its online assortment by bringing new third-party sellers onto its marketplace. In the company’s recent first-quarter earnings call, management noted that its total online offering had soared from about 10 million products a year ago to more than 50 million today. It is too soon to see the impact of some of these recently added services in Walmart’s performance results. However, in its first-quarter earnings report, Walmart noted a 63% surge in e-commerce sales and a 69% jump in e-commerce gross merchandise volume (which includes sales by third-party sellers). The company also noted that most of this growth was organic through Walmart.com, which suggests that investments, rather than acquisitions, are driving its e-commerce growth. 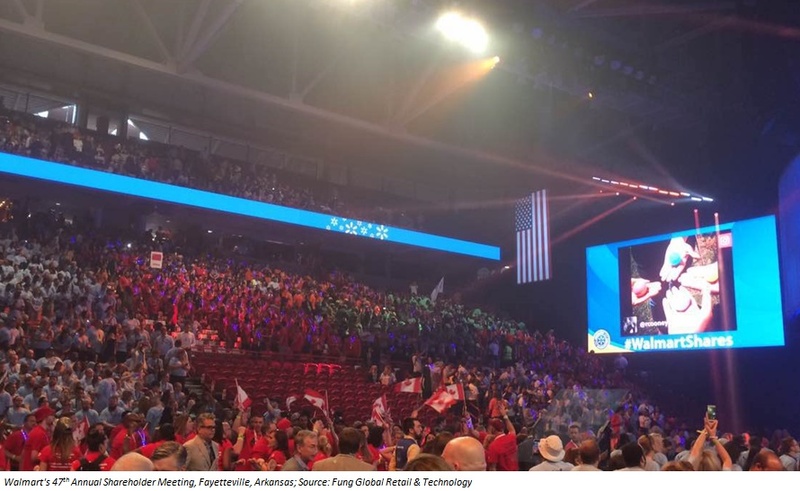 Even apart from these topline rewards, we think these kinds of investments and initiatives from Walmart should be welcomed, as they reflect a highly innovative and flexible approach to adapting to a new era of retailing.